Any list of books set in Russia, particularly Russian historical fiction carries a common theme of love and war. Moreover, the Facts And History Of Russian Languages bound to include espionage thrillers, war, revolution, and corruption. Furthermore, Here Are Russian Medieval Historical Fiction and also a list of Cafes In Russia That Are Suitable Foor Book Worms To Read, to get you to start reading back in history. Another work from one of the Freaking Great Russian Authors You Must Read that help to popularized Russian literature to the world. A historical novel during Pushkin period of exile that takes history at the end of the 16th century, during the reign of Boris Godunov. The plot revolves around the invasion of Grigory Otrepyev, pretending to be the deceased son of Ivan the Terrible. 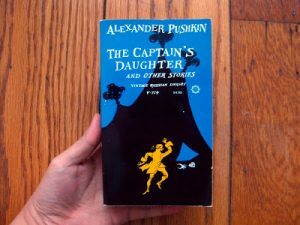 Moreover, the novel also marks the transition for Pushkin from romanticism to a more realistic style of writing. A classic of contemporary literature displays a labor-camp inmate life during the communist oppression. Moreover, it gives an unforgettable portrait of Stalin’s forced work camps. Furthermore, it is the most extraordinary literary documents from the Soviet Union and confirms Solzhenitsyn’s stature as “a literary genius”. The author writes from decades of work, travel, and research in Russia. He re-creates the tragic, fascinating story of the final days of Nicholas and Alexandra through the eyes of the Romanovs’ young kitchen boy, Leonka. The story tells an ancient Russian immigrant as the last living witness to the Romanovs’ brutal murders. Historically the story is vivid and compelling, as a touching portrait of a loving family that in many ways similar, yet so different, from any other. Among the many Greatest Novels, Everyone Should Read is works from Leo Tolstoy that considers one of the Genius writers in Russia. Hailed as one of the world’s supreme masterpieces on death. The book is a story of a worldly careerist, a high court judge who has never given the inevitability of his death so much as a passing thought. This short novel has an artistic culmination of spiritual crisis in Tolstoy’s life. The book describes the strangest, the wildest, and the most bizarre of Russia at the beginning of the post-Soviet era. The book captures the atmosphere of a country that suddenly became free after decades of limitations and restrictions. Furthermore, it displays Russian nightlife where a scene in a night club include young women are looking for wealthy men. At first glance, both seem different but as the night wears on, they realize that they have more similarities than appears to be. They come from the same Soviet background, food lines, and communal flats, and they were no different until the old Soviet reality vanished. If you are looking for a romance novel, you will surely enjoy this book. Besides the Romantic Russian Books That Are perfect For Woman To Read there are books written by a woman that offers great storyline. The book display love story between Tatiana and Alexander made powerful by the tragic events around them. The book also a reference to a poem by Alexander Pushkin about the monument to Peter the Great in St. Petersburg. Therefore, it is a romantic and historical book that describes various Unique Russian Things In St Petersburg so well. A memoir of an investment banker fulls with intrigue, mystery, suspense, and murder. Bill Browder’s story transform a financier to a human rights activist is a compelling and heart-breaking twist. Moreover, it highlights the corruption and human right issues during post-Soviet Russia. Robert K. Massie describes a wonderful work portraying people from the past as a relatable living, breathing characters. This book reads like a story of one family as a ruling dynasty that goes deeper into a tsar and his wife on a personal level through this book. Moreover, there were some memorable moments of this book that highlights Russian Rasputin era. A story based on a prominent historical figure by describing her personal life. The book shows Catherine the Great as a person and woman first and a ruler second where both powerful and vulnerable, and all her contradictions. it also gives a glimpse of the History Of The Beautiful Catherine Palace. This book is more than a one-man story but more about how a changed in the historic course of the whole country happened. It takes back to the West side of Russia in the 17th and 18th centuries during isolation and backward ways. Peter the Great curiosity about western ways, travels, and his hands-on approach to life to improve Russia. The story of Russia’s last tsar and the infamous twenty-three steps that the family took into the basement where they were brutally executed. Moreover, the book is well-written, insightful, with historical detailed. Perhaps even too detailed in some parts, due to Massie thorough researcher committed to providing all the available information to solve the mystery of Anastasia. The full sweep of Russian history is comparatively neglected in most Russian historical fiction. There are few novels and also Historical Soviet Movies You Should Watch as a great way to understand Russia even if you will never fully comprehend it. Moreover, it has a good old love tale twist for any historian in the heart.